Kraft water activated tape is a very versatile product. This tape is excellent for sealing boxes and cartons. It’s great for edges, corners, and irregular surfaces as well. It bonds instantly to surface fibres, creating a strong hold that not only keeps your package together, but that also makes it tamper resistant. There is no way to remove the kraft tape without destroying it, so it becomes evident if anyone tries to get inside. 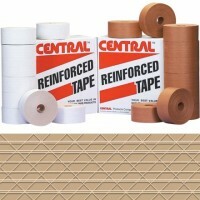 Kraft water activated tape is easy to apply, very flexible, and unaffected by extreme temperatures. It is also strengthened by strong fiberglass yarns (making it very durable) and it works correctly even in dusty or dirty conditions. 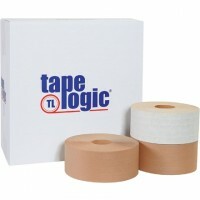 At the Packaging Company, we understand the importance of high-quality tape. That’s why we offer an extensive variety, so that you can choose the one that is right for you. However, while we know how important our products are for keeping businesses working, we also know that you don’t want to spend your time and effort searching around for the right provider. The good news is you don’t have to! 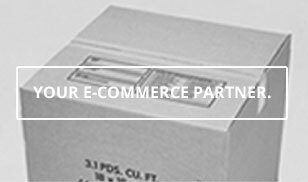 We are a one-stop-shop for all of your shipping and packaging needs. Whether you’re looking for kraft tape or any other packaging product, you can trust us to supply you with what you need at affordable prices. We also pride ourselves on our dedication to customer service. We know that today it has become too difficult to get in touch with many companies and we always want to be able to communicate with our customers. If you have any questions about any of our products, or if you would like some recommendations on packaging or shipping, please do not hesitate to contact us today. 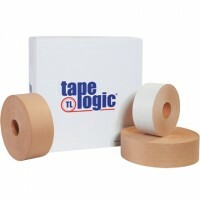 You can trust the Packaging Company for tape and other shipping supplies that you need to get business done. It’s our goal to help you succeed.